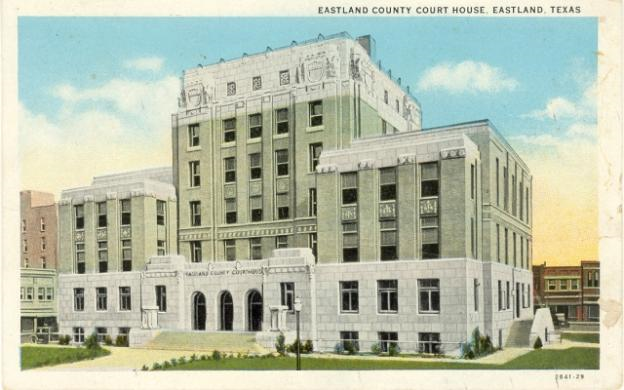 "The local firm of Lang & Witchell dominated construction in Dallas from 1910 to 1942 and had a profound impact on the city's architectural character. The most respected firm in Dallas during this time, their long and prolific career and consistently high quality designs contributed substantially to the cityscape .... In 1905 [Otto] Lang established a partnership with Frank Witchell, 33 years his junior...Although he had no formal architectural training, Witchell worked for Sanguinet and Staats as a designer and draftsman from 1898 until 1905. "For thirty years the firm of Lang & Witchell kept up with the latest in architectural thought; from the Chicago School to the Art Deco they were able to produce quality designs in whatever the current mode....The firm's undisputed masterpiecesare the Dallas Power & Light and the Lone Star Gas Company buildings, both finished in 1931. These two elegantly detailed structures remain Dallas' finest Art Deco skyscrapers." Source: Lofren, Jamie. Early Texas Skyscrapers... UT Thesis, 1987. "Otto H. Lang, architect, was born in Freiburg, Germany, on December 2, 1864. In 1888 he traveled to the United States on a wedding trip and stayed to make his home in Dallas, Texas. He worked in local architects' offices for two years and then became responsible for architecture and design for the Texas and Pacific Railway. 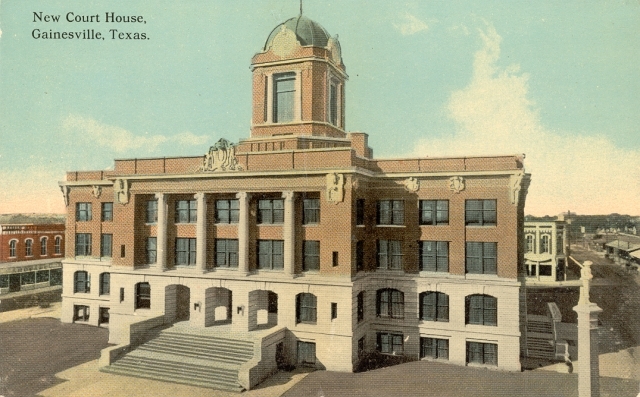 In this position Lang designed the Texas and Pacific depot in Fort Worth. 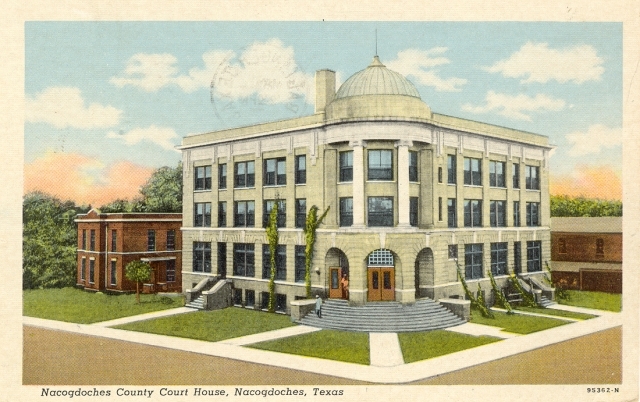 He also eventually designed railroad stations in Wichita Falls, Amarillo, Paris, and Weatherford. He formed a partnership with Frank O. Witchell in 1905 and began practicing in Dallas. Lang worked on many architectural projects in that city. 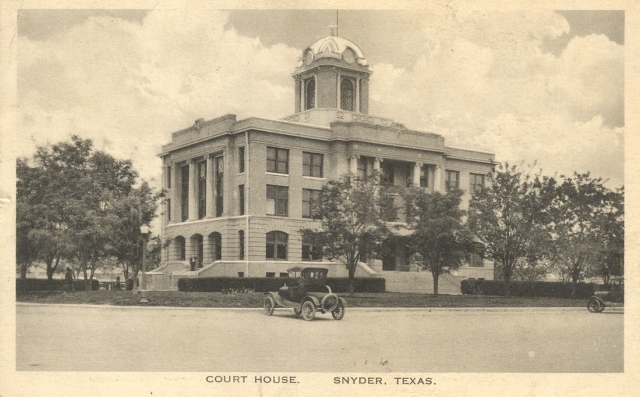 He designed courthouses in Houston, Gainesville, Snyder, and Cleburne. Other projects included improvements of the Dallas street-lighting system, local street repair, and work on the garbage disposal facilities. 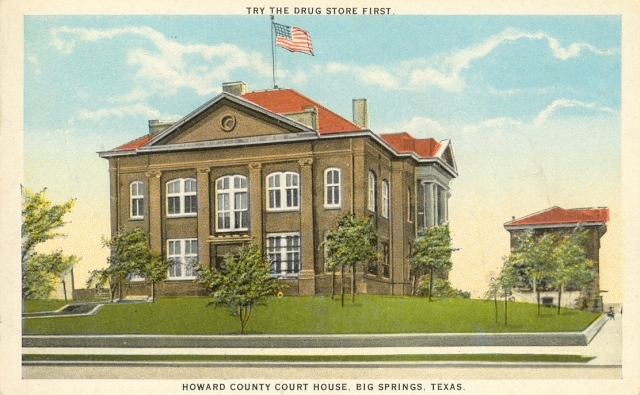 From 1915 to 1919 he served two terms as Dallas street commissioner. Lang was a member of the American Society of Construction Engineers and the Texas Association of Architects. Lang died in Dallas on October 18, 1947, and was buried at Restland Memorial Park in Dallas." 1898, Witchell came to Dallas from San Antonio and entered the architectural firm of Sanguinet and Staats as a designer/draughtsman. Evidently, he worked there until 1905, at which time he entered into the partnership with Otto Lang. He and Lang were in partnership until 1938 when Witchell retired. Witchell was the only living Honorary member of the Dallas chapter of the A.I.A. in 1952 and continued to be so until his death [in 1958]." Source: Bigger, Jim. The Firm of Lang and Witchell. Report for Arc. 373, UT School of Architecture, April 26, 1971. 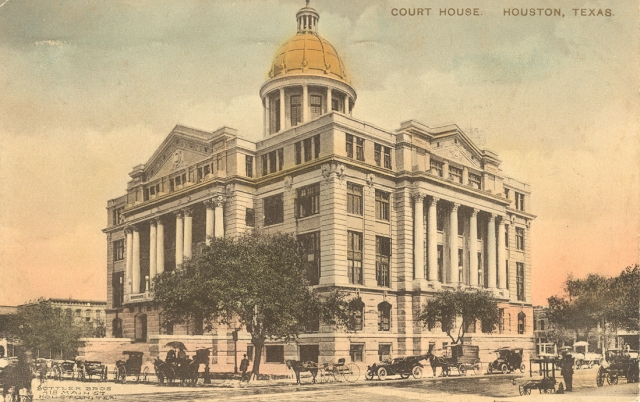 The firm of Lang & Witchell designed seven Texas courthouses. 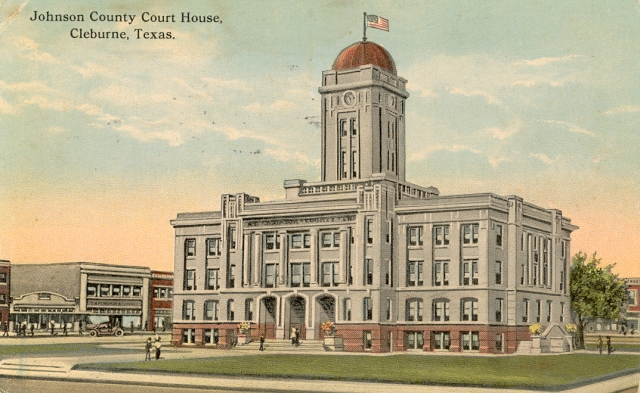 Five remain standing and in use, however, the Scurry County courthouse has been enveloped by a 1972 building, making it unrecognizable.